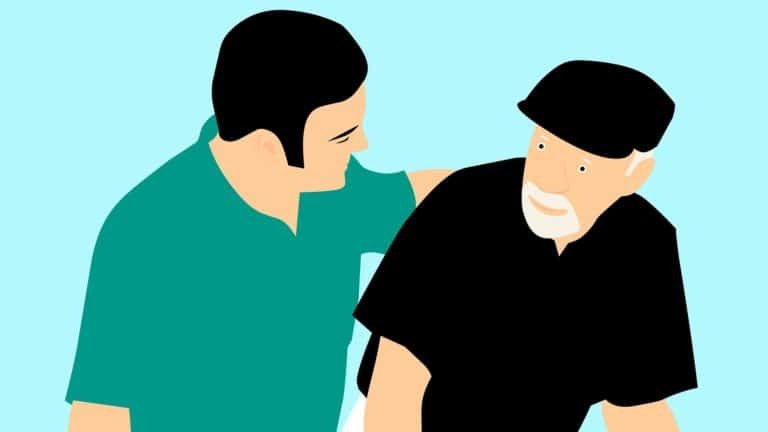 As a caregiver taking care of people can be quite challenging, and this is particularly true when it comes to the elderly. I don’t mean to use the word “challenging” negatively – despite the difficulties involved in taking care of people who struggle to take care of themselves, it can also be a very rewarding and refreshing experience. Caring for a person can make one realize the values of many things in life, relationships being very high up on the list. Carers such as those in nursing homes spend a lot of time with the elderly both when they are at their worst and at their best. In this article, I want to talk to you about six important things to remember when taking care of the elderly. Elderly people are still people. Despite old age and all that accompanies it, elderly people are still individuals who have preferences, dislikes, tempers, flaws, and virtues. You should always keep this in mind when caring and interacting with them.Try not to think of the elderly as separate entities governed by different rules – sure, life doesn’t get much easier with age and it can make people cranky, lonely and bored – but this is all part of it. Try to be mindful about it, and respect their individuality. Dignity is crucial. As I just mentioned, life doesn’t get much easier with age. As time passes, it becomes harder for people to take care of themselves accordingly and do all the things that they were once able to do. This includes washing oneself and dealing with potentially humiliating issues such as incontinence. When you’re taking care of the elderly, don’t forget this. Strive to preserve their dignity as best as you can. Be mindful of their physical and mental health. Particularly in regards to mental health, you need to be mindful and watchful of the health status of the people you are taking care of. I emphasize mental health as the loss of cognitive functioning is one of the most terrifying aspects of getting older for many people.Being mindful is good – but that doesn’t mean continuously pestering them with questions and making sure that they are always comfortable, not at all – that would likely be quite annoying for them.It rather means being conscientious and being able to pick up on different signs that the person you are caring for is not doing so well. This is one of the main reasons why caring for the elderly requires great observation and awareness of a person’s condition.Regarding physical health, you should ensure that the elderly person you are caring for does some form of exercise regularly to boost their fitness and help prevent disease. Privacy matters. Always remember that privacy, as well as confidentiality, are very important factors when it comes to elderly care. There’s nothing wrong with having personal conversations – in fact, this is encouraged – however, keep in mind that there is an imaginary line you should not cross.This is especially important to remember in the case of family disputes or personal matters concerning the person you are caring for that have nothing to do with you. The same applies when discussing illnesses and other delicate matters concerning them. A very important rule is that you do not share personal information outside of a person’s care team – this includes family and friends. You should report instances of poor care. This, unfortunately, is a necessary point to bring up in this list. I wish it weren’t the case, but there have been numerous instances of abuse and neglect in care homes for the elderly. These should be reported accordingly to the person responsible for dealing with issues of abuse. Try not to do for them what they can do for themselves. I learned this piece of advice from an excellent clinical psychologist. You should try not to do for the elderly the things they can do for themselves. One of the worst aspects of getting old has to do with the loss of agency that occurs as one’s health deteriorates. This can be quite hard-hitting on people who were always accustomed to taking care of themselves and now need someone to be there for them much of the time. This is why it’s important that you allow them to do the things that they are still able to do themselves. Not doing so would just contribute to their loss of agency and make them feel miserable and, in many ways, useless. Ultimately, taking care of the elderly takes a lot of responsibility, conscientiousness and a positive orientation toward people. The modern world, despite all its benefits, has ushered in a new age in terms of how families are constructed. One of the consequences of this has been the erosion of the extended family and the rise of the nuclear family – whereas once elderly people used to be taken care of by their own family, they are now often destined to go to care homes. This is why it’s so important that people who are responsible for elderly care know how to best do their job, and why I wrote this list. I hope you found it useful.